With the announcement of the best local SEO agency options for businesses, 10 Best SEO wants to recognize the companies that excel above the rest. All of these companies deserve credit for providing unparalleled service and results that other SEO services cannot surpass. 10 Best SEO is pleased to announce Ignite Visibility as one of the top winners of its Best Local SEO awards for September 2018. When businesses need to attract more local customers, they need the best local SEO agency working for them. There are many different types of businesses that benefit from local SEO services. From pizza shops to dog walkers and roofers to painters, local businesses must find customers in their area who are in need of their products or services. 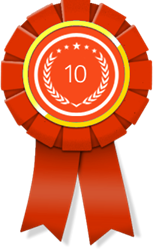 As a way of facilitating this, the 10 Best SEO service has implemented a monthly award for the 10 best companies that conduct local marketing. Small businesses can refer to this list of the top performers in order to find the top local online marketing agency for their needs. The leading firm on the list of the 10 top local online marketing agencies is Straight North. This is a medium-sized company with more than 50 and fewer than 250 full-time team members. Straight North's local SEO services are grounded in research. Since most local businesses know the needs of their customers well, Straight North puts this to work on behalf of the client. They use neighborhood monikers and geographic phrases as a means of garnering the attention of people in the neighborhood. In the second-best spot for best local SEO firm is Boostability. This is a large SEO company, with more than 250 full-time team members. Their size means that Boostability can provide clients with a full selection of online marketing services. In addition to local SEO, Boostability can set up a small business with key services such as pay-per-click ads that show up in the social media feeds of local customers. This advances the business's visibility and name recognition. When combined with a great SERP, social media with local SEO yields great results for Boostability's clients. Another top local SEO firm is Ignite Visibility, which took the third-place spot on September’s list of winners. This company is small, with fewer than 50 staff members. However, Ignite Visibility uses its small staff to its advantage. The firm relates well to other small businesses and takes pride in helping then succeed in a highly competitive economy. For more details about the winners for September, visit http://www.10bestseo.com.